Officials say digital encryption makes anti-terrorism efforts more difficult. 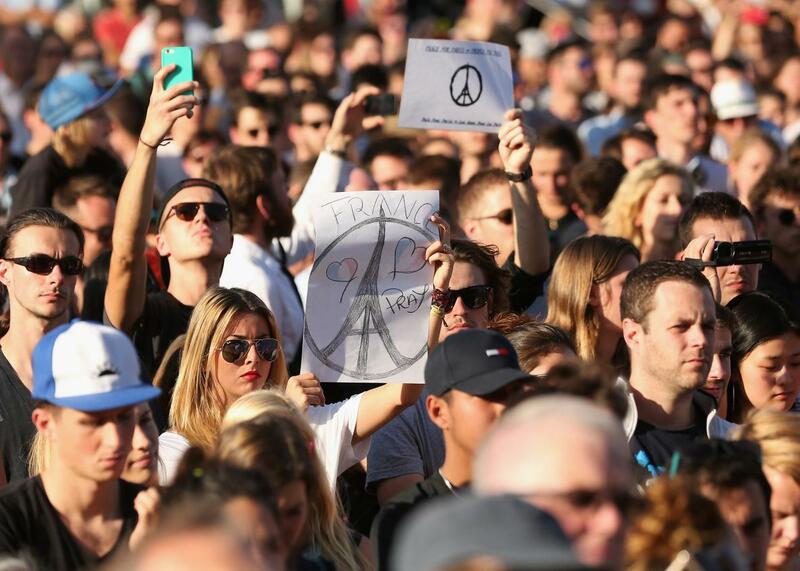 A vigil for victims of the Paris terror attacks in Melbourne, Australia on Monday. As officials investigate Friday’s attacks in Paris and extract lessons about new terrorism prevention techniques, a theme is emerging: Encryption is bad for anti-terrorism efforts. We already know that law enforcement officials oppose strong encryption because it makes intelligence-gathering more difficult, and the Paris attacks are renewing calls for reexamination of digital privacy measures. In an interview with ABC News on Sunday, New York City Police Commissioner William Bratton said that “ISIS, taking advantage of the technology … the ability to go dark, I think you’re going to see that’s going to play a significant factor in this event.” He added that the law enforcement community is waiting to get more information about what devices and software the attackers were using. “[I’m] very interested to see what types of phones they were equipped with, what types of apps they had on those phones. Were they, in fact, even in communication with each other at all?” he said. On Sunday, Michael Morell, a former deputy director of the CIA, told CBS’s Face the Nation what he thinks investigators are going to discover. “We don’t know for sure yet, but I think what we’re going to learn is that these guys are communicating via these encrypted apps. The commercial encryption which is very difficult if not impossible for governments to break,” he said.